A fun family portrait. 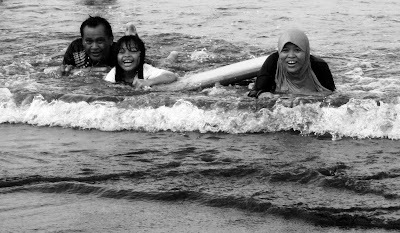 Meet my SIL’s family; this photo was captured when they were on Pangandaran Beach (Ciamis, West Java, Indonesia). 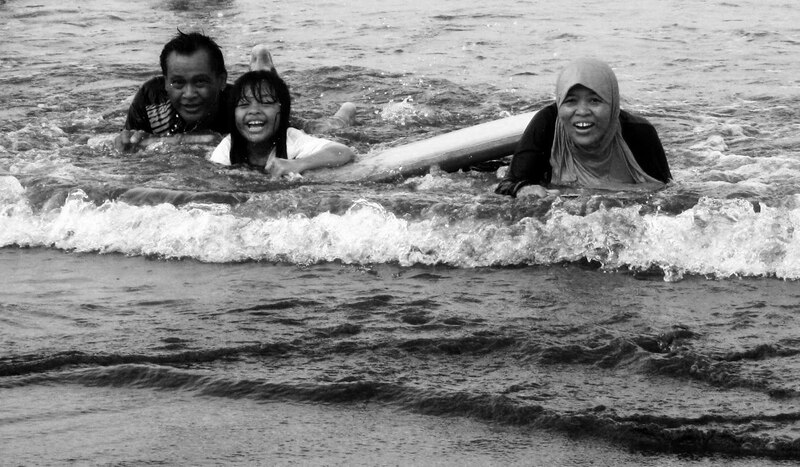 Playing with waves is always fun. Look at their happy faces! A smiley happy moment! Lovely photo! wow! nice picture... really cool!